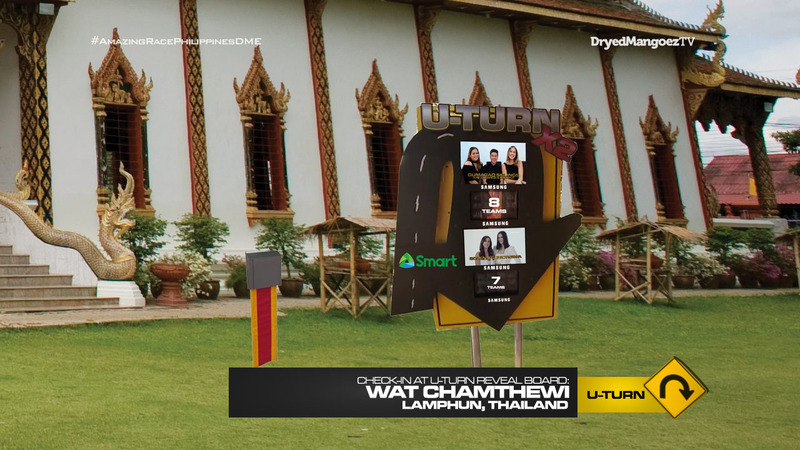 It’s a pleasant afternoon in Bangkok as teams open the next clue telling them to fly to Chiang Mai! 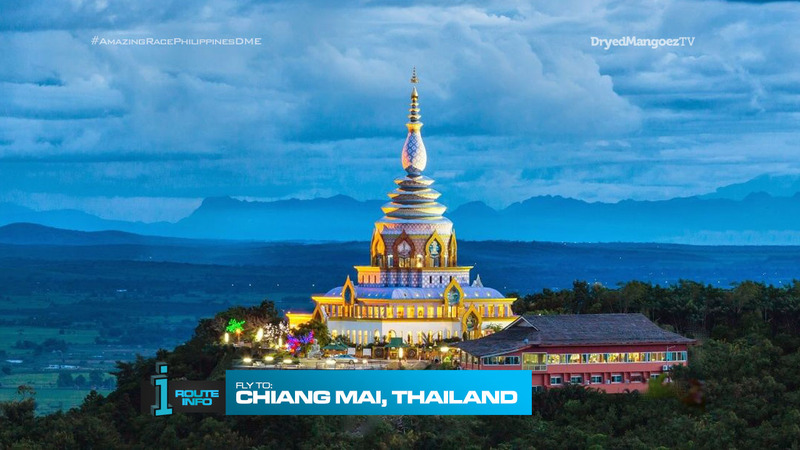 Teams must secure their own flight to Chiang Mai with all arriving sometime in the late evening. 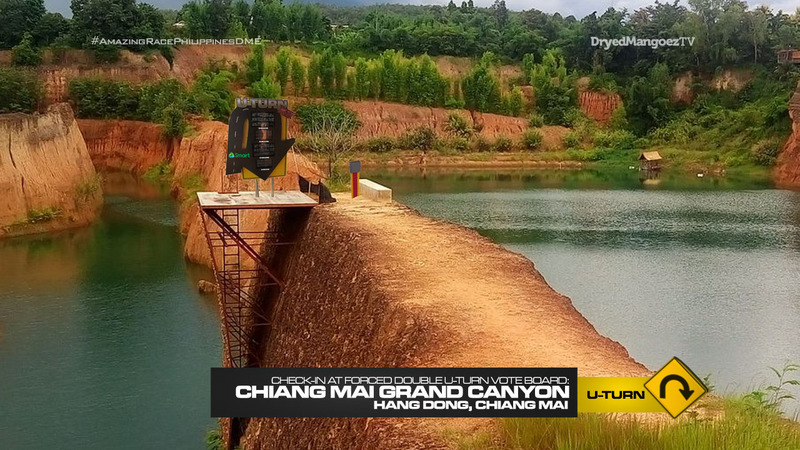 Once in Chiang Mai, teams must make their way to the Chiang Mai Grand Canyon in Hang Dong. BUT! HOURS OF OPERATION! The quarry opens at 8am. After spending the night out in the open, teams run through the gates at 8am and cast the two U-Turn votes before searching the area for their next clue. 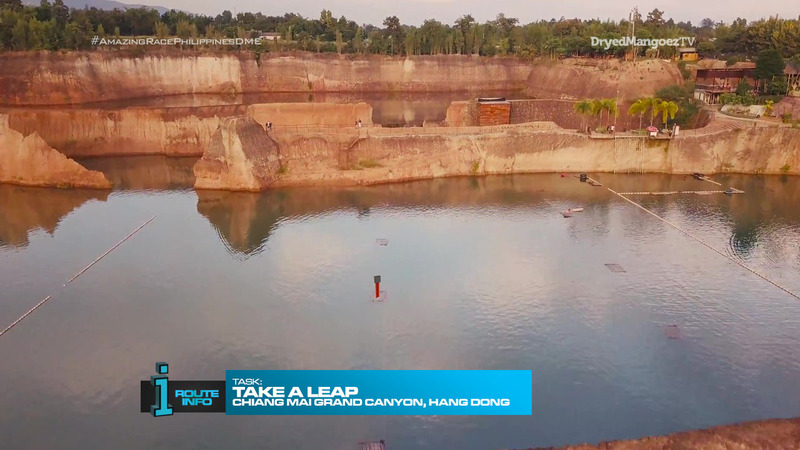 They will realize that the cluebox is floating in the middle of the water and the only way teams can reach it is if they jump from the cliff into the water and swim to it. Once teams grab the clue, they can swim back to shore to read it. 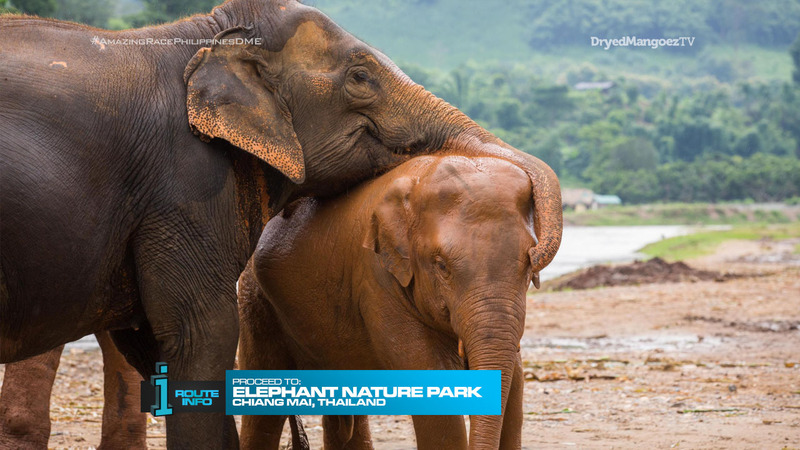 The clue tells teams to make their way to Elephant Nature Park to search for the next clue. Here, teams will help care for these protected elephants. First, they will help guide an elephant to the water where they will give it a bath. After properly bathing the elephant, teams must search for a large basket of bananas, bring it to their new friend and feed them to receive the next clue. 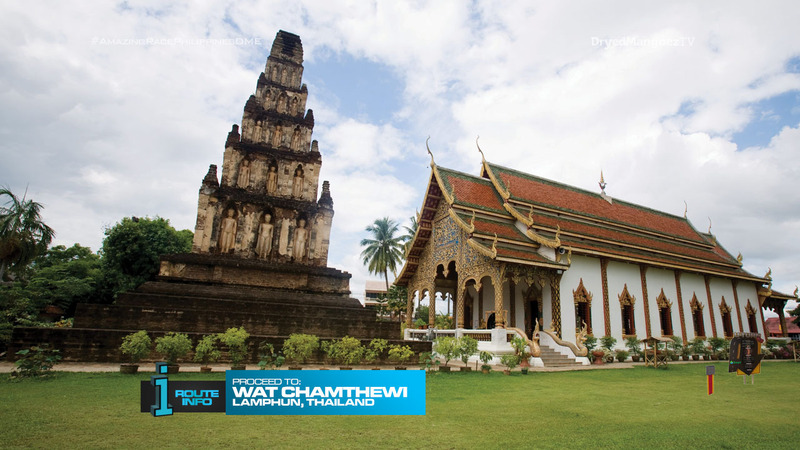 Teams must now make their way to Wat Chamthewi in Lamphun. Here, teams will find the Blind Double U-Turn Reveal Board. 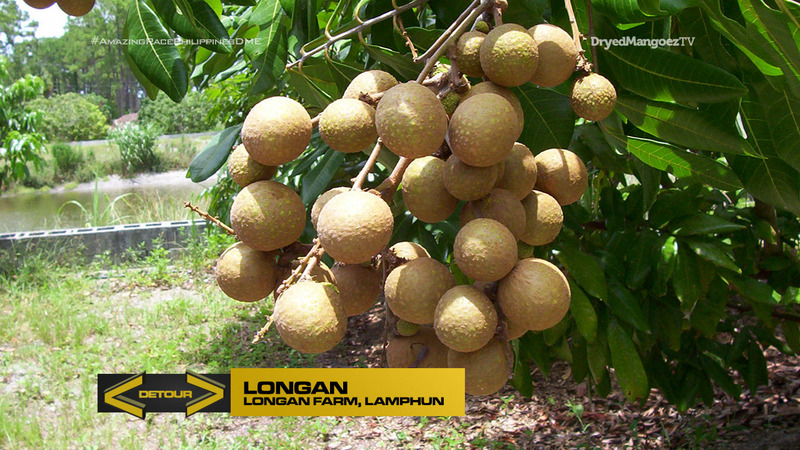 And the next clue which reveals the Detour: Longan or Khantoke. In Longan, teams must harvest enough longan to fill four large crates. They must then transport 15 large crates of longan to a waiting truck to receive the next clue. 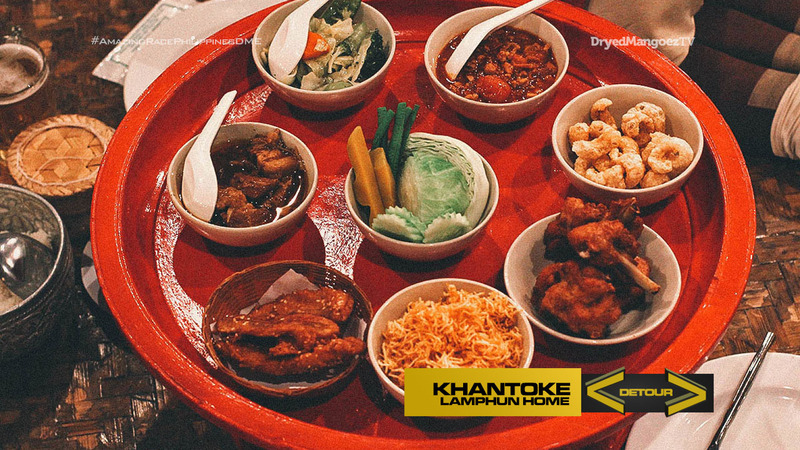 In Khantoke, teams must recreate two traditional Khantoke dinners, each featuring different dishes, based on memory according to an example. They will then sit down and eat the dinner themselves to receive the next clue. 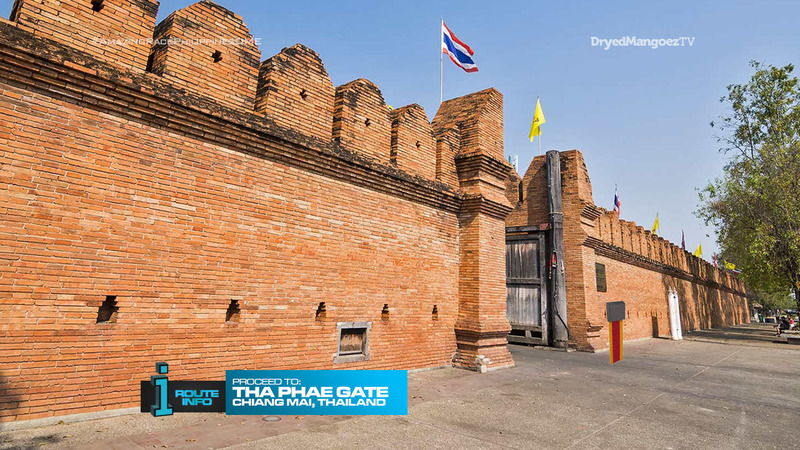 Teams will now head over to the Tha Phae Gate where they will find the Road Block: Who can light the way? 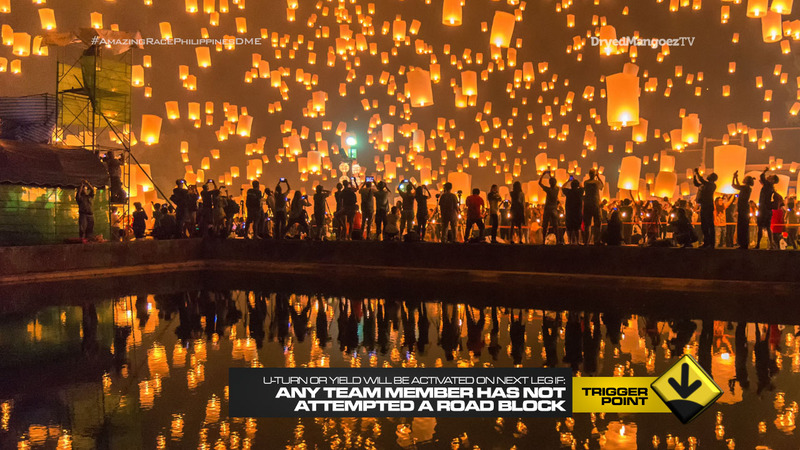 For this Road Block, teams will learn how to make traditional paper floats and lanterns used during the Loi Krathong and Yi Peng Festival. 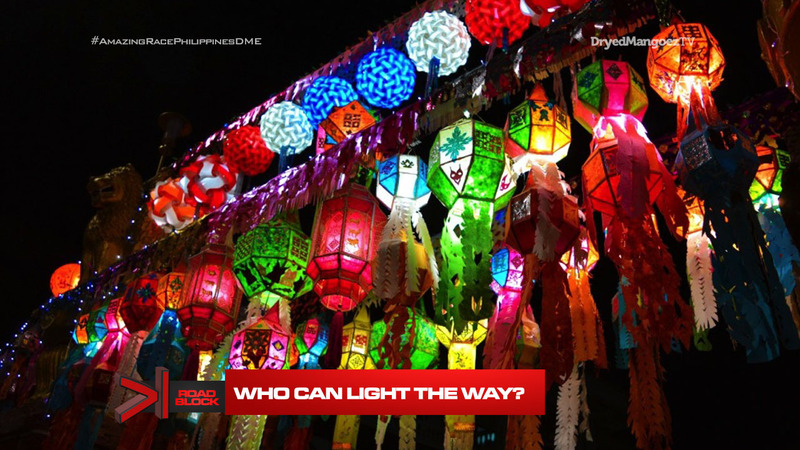 Teams must recreate six different floats and lanterns to receive their next clue. This is also the Trigger Point for this Leg of the Race. If any team member has not attempted a Road Block after these first two (for example, one team member has done both Road Blocks for their team), the U-Turn or Yield will be activated. 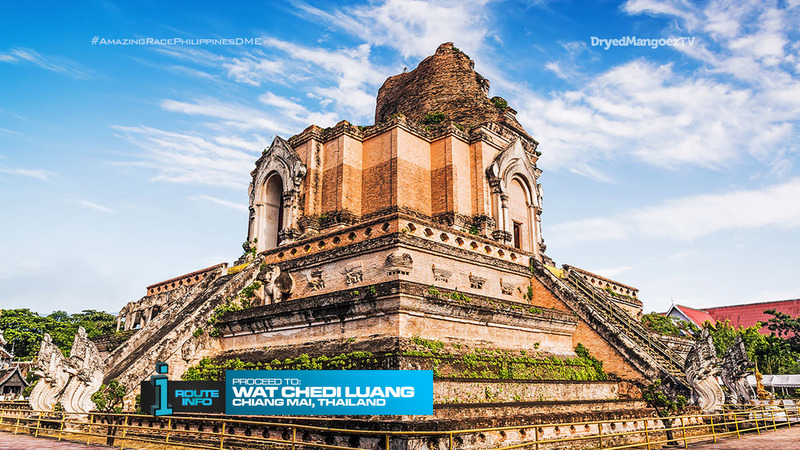 Teams must now find Wat Chedi Luang. Here, teams will pick up bicycles and a Samsung Galaxy Note 9. 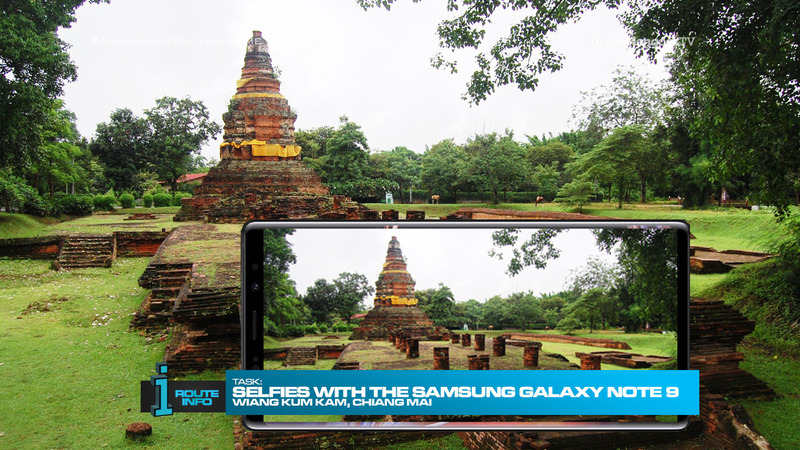 Using a map of the ancient city of Wiang Kum Kam, teams must search for several sites of the ancient city, many of which are shells of their former glory. Teams must take selfies of themselves in front of these sites and present them to the local to receive their next clue. 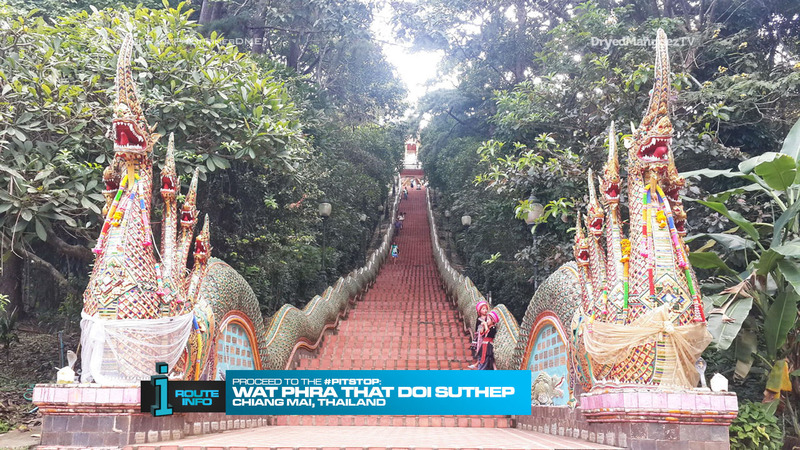 And that clue reveals the Pit Stop for this Leg of the Race: Wat Phra That Doi Suthep. Teams must walk up the stairs to the Pit Stop at the summit. So this Leg came about not because of TAR30, but because of my reading about the “other” Grand Canyon. 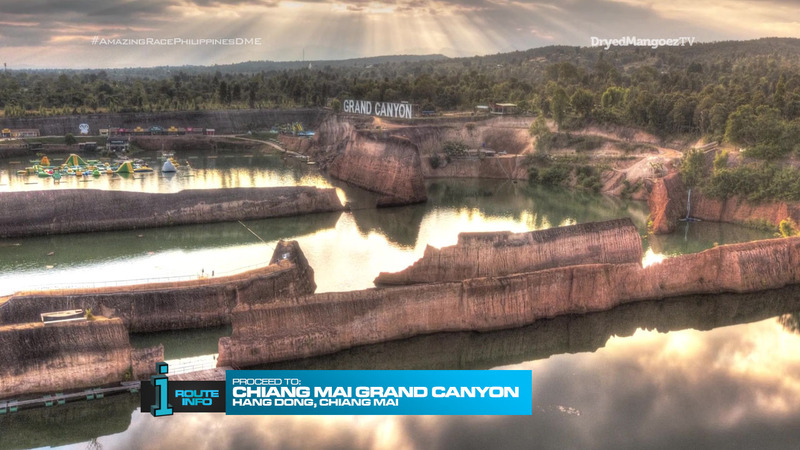 That is, the Hang Dong Quarry, also known as the Chiang Mai Grand Canyon. Having teams searching around for the clue only to find it is in the water and the only way to get to it is jumping and swimming should be great TV. Also great TV is teams possibly voting at the U-Turn with everyone around them as the gates open. That should surely cause some drama. 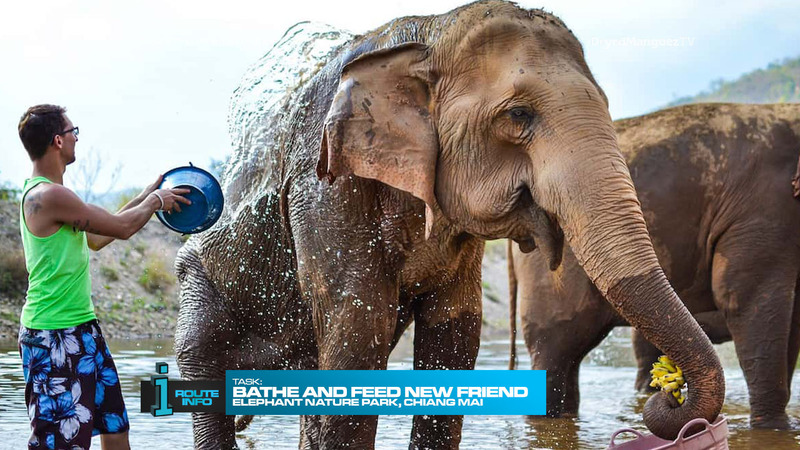 Visiting with elephant friends is a must in Chiang Mai. I know we have to make sure elephants are well taken care of and not mistreated for and by tourists. So here, we will help care for them. The Detour is simple and straightforward. Both good tasks I think and balanced. Also good for a U-Turn. The area has many longans while the Khantoke is a good cultural task. The bicycle selfie task is just an extra task that helps fill out the Leg while being a nice sponsor opportunity of course. I also think TARA5 did something similar with selfies and stuff too. Finally, my understanding is that you can take a car up to the summit of Doi Suthep. So it would be great drama if teams don’t follow instructions and don’t walk up the stairs as directed. It should be a great, tiring and exciting way to end a solid Leg!